Wings Forum • View topic - Lifting bodies? I'm looking for any information about experimental aircraft--past or present--that utilize "lifting body" type configurations. I've read the two books on NASA's lifting body experiments in the '60s, but can't find a thread connecting them to any manned aircraft or gliders (although I seem to recall having a styrofoam glider toy shaped like the NASA models, when I was a kid back in the '70s). So far, the aircraft that I know of that are at least related to lifting bodies would be the Facetmobile, the Trautman RoadAir of the '50s, the Aereon 26, and that's about it. I guess there's a blurry distinction between the true lifting bodies--which have no separate wings, the planes with a Burnelli-type airfoil-section fuselage, and the blended wing/fuselage designs of today. I'm most interested in the designs that have no discernable wings extended beyond the fuselage. Any information or opinions about lifting body designs--in concept, in models or full-size craft--would be greatly appreciated. OK; scratch the RoadAir. I hadn't been able to tell before from the photos that I'd seen that it actually has swing-out wing extensions. 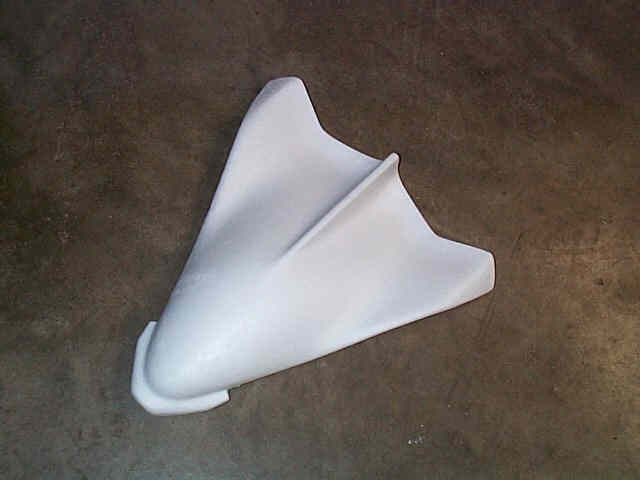 I finally found some info about that flying styrofoam model that fit my criteria: lifting body with no wing extensions. It's made by Robart and has the rather ungainly name of the "UFO Top Gun Glider". I guess where I'm going with this is wondering why the lifting body configuration seems to be so little-utilized in experimental civil aircraft. I'm nowhere near being an expert on the subject, but I'd think that the super-low aspect ratio could theoretically provide enough lift for one person, and that composite materials would make building it feasable. Which two books on lifting bodies have you read? I presume one was Dale Reed (and Darlene Lilster), but the other? By Milt Thompson? In the end the lifting bodies served only one purpose for the folks at NASA: enter the atmosphere at Mach 25 or so and fly to a landing spot. While the HL-10 was better than the M2-F1, and the X-24B the best of all, they all presumed a rreturn from space, where the energy of the craft overcame the pathetic L/D of the aircraft. You're after something with no discernable wings, it seems. How do you propose to fly it--how fast and so on?